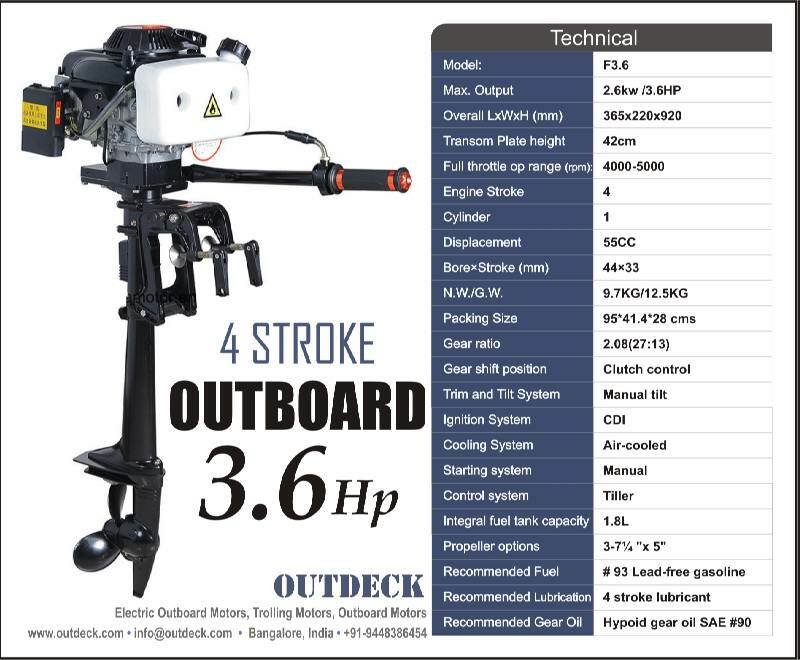 The F3.6 is an excellent 4 stroke outboard motor weighing just 9.7kgs. This motor can be easily mounted on an inflatable boat or a small dinghy or fishing boat. It has superior engine air cooling system for improved engine performance, standard CDI ignition system for easy starting and improved performance. The heavy duty aluminum cast starter is there for increased durability and reliability. Twist grip throttle control for easy maneuverability and safety. Propeller options: 3-7¼ "x 5"